Just pop into the garden and start digging! It’s great exercise and it costs nothing at all! Don’t waste money on gyms, just start digging the garden! They are ideal for tying in raspberries, other plants and even trees. They are soft but very strong and give the support needed but without being abrasive or chaffing to the stems of your precious plants. But take them off first! Put your onions in a leg one at a time, tying a knot in between each one so they don’t touch. Then hang up in a cool dry place. They last for ages. 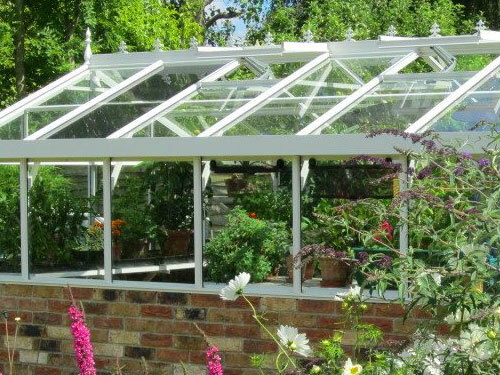 ​If your greenhouse is heated, do you really need to heat all of it? By hanging a plastic sheet across the middle you can reduce the space you have to heat, saving money and energy. Also hang some bubble wrap or an old piece of curtain over the door to keep the heat in. Hang a plastic sheet across the middle of your greenhouse to reduce the space you heat, saving money and energy. Dill, allium, teasel and poppy all have great long lasting seed heads which can be coloured with metallic sprays to create wonderful Christmas decorations. Just make sure the sprays are non toxic and environmentally friendly. Cut up old jumpers that have started to unravel and use them for hanging-basket liners in the summer. You may also see birds reuse the jumpers again when they peck out strands for their nests. This is a great use of the non-recyclable polystyrene packaging that comes with just about any large delivery we receive. Break-up the polystyrene and put into the bottom of garden tubs – this way you don’t use as much compost and the tubs are also lighter and easier to move around the garden. 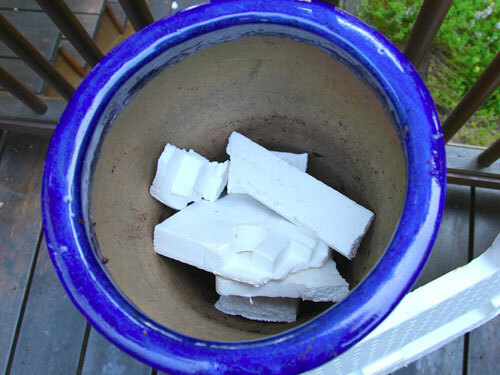 Break-up the polystyrene and put into the bottom of garden plant tubs. 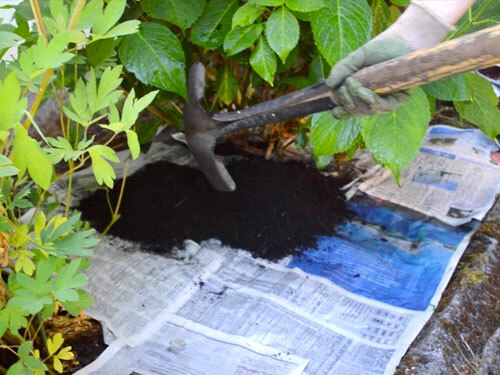 Sheets of newspaper (6-8 layers) can be placed just beneath the soil surface surrounding plants, wet it with a watering can or sprayer, then cover with a thin layer of soil or mulch. The paper acts as a barrier to weed growth and stops sunlight penetrating the surface. Newspapers can make great weed barriers. Car boot sales are great places to pick up tools, buckets, netting, pots, gloves and all sorts of things for the garden at bargain prices. 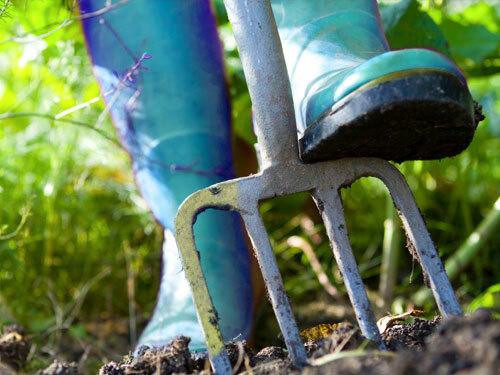 0g CO₂ if picked from your garden – this is the way to go! 350g CO₂ if grown in Kenya and flown by air. 2.1kg CO₂ if grown in a heated greenhouse in the Netherlands – equivalent to 4.5kg bananas – is love worth that much CO₂?! This can produce toxic chemicals as well as carbon dioxide which contributes to climate change. Two thirds of us have converted our front gardens into driveways. What a waste, we should be preserving biodiversity. Come on, help your local wildlife, don’t follow the trend!